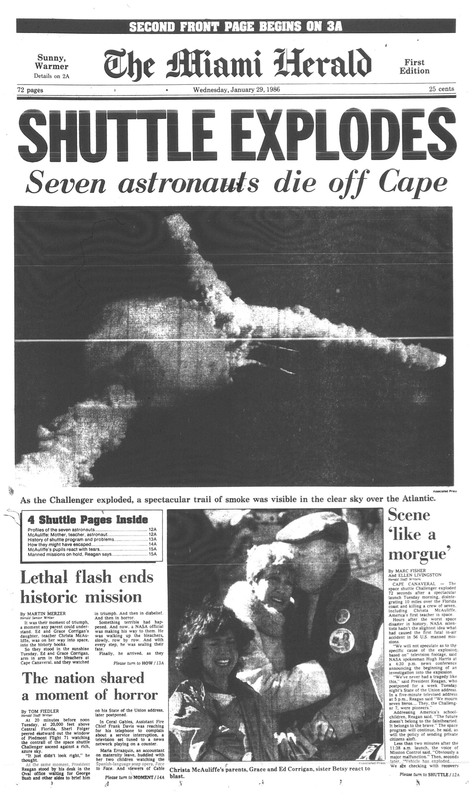 Space shuttle Challenger detonated 73 seconds after liftoff at 11:38 a.m. Jan. 28, 1986, killing all seven astronauts aboard. 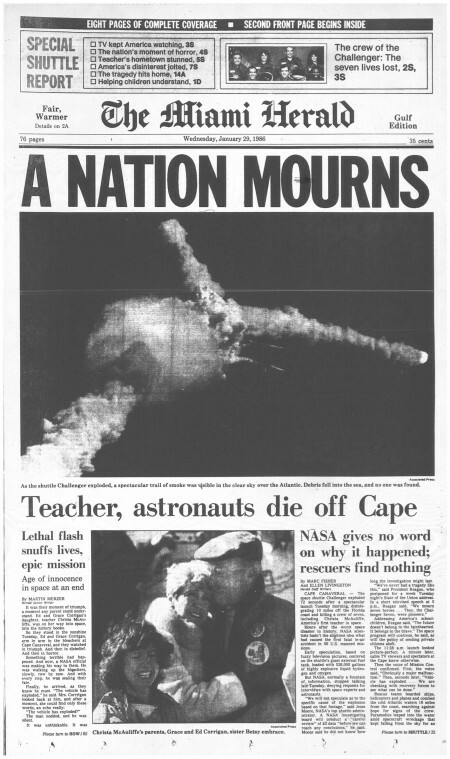 Among the dead: teacher Christa McAuliffe, NASA’s first — and last — “citizen in space.” The last known words from the flight deck were recorded at the moment Challenger exploded. 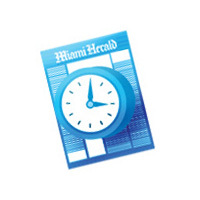 “Uh-oh,” pilot Michael Smith said. 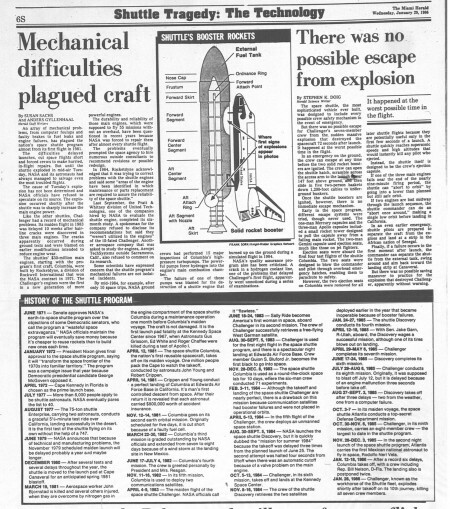 From Houston, launch commentator Steve Nesbitt told the world: “Obviously, a major malfunction.” The explosion on that frigid morning was blamed on a faulty “O-ring” that linked segments of one of the twin booster rockets. 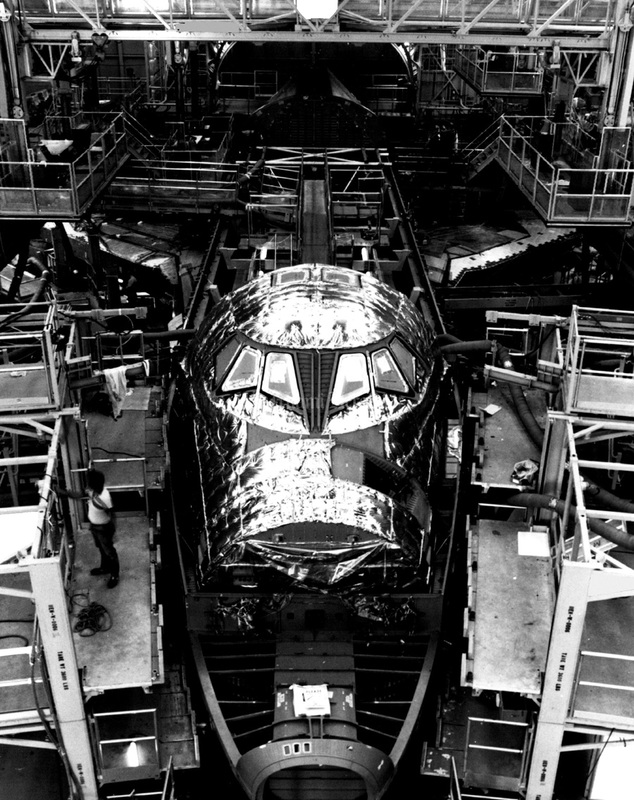 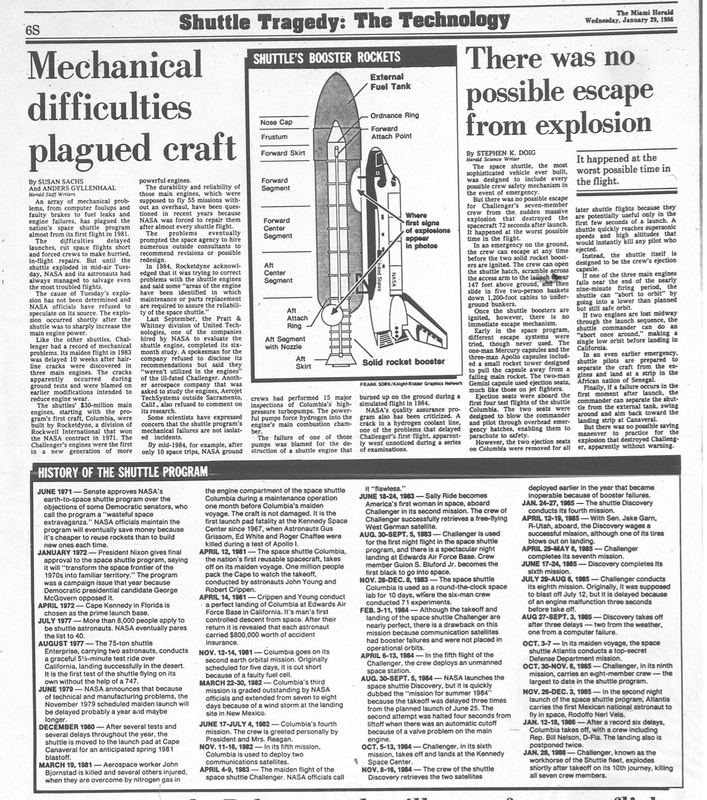 Investigators said the insulating ring, made rigid by the cold, cracked and allowed fiery rocket exhausts to leak and ignite the external fuel tank.a presidential commission concluded that NASA ignored repeated warnings about the O-rings and maintained a “silent safety” program that concealed problems from top managers. Though several NASA and Morton Thiokol officials resigned or were transferred, blame was never affixed to any individual. 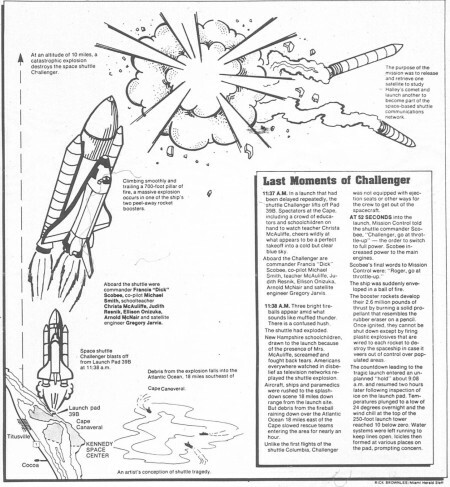 1/28/1986: NASA Space Shuttle - Challenger. 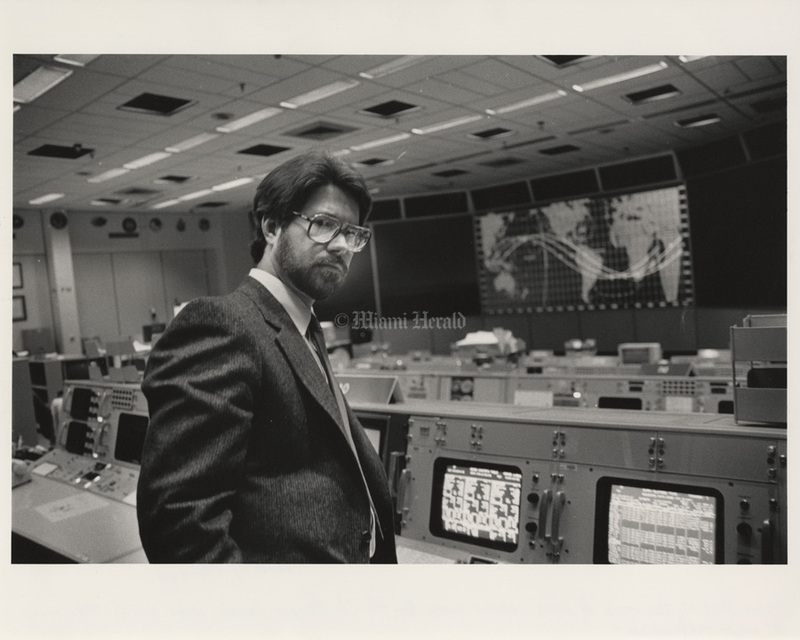 Undated: Michael J. Smith, Pilot for Mission 51-L on Space Shuttle Challenger. 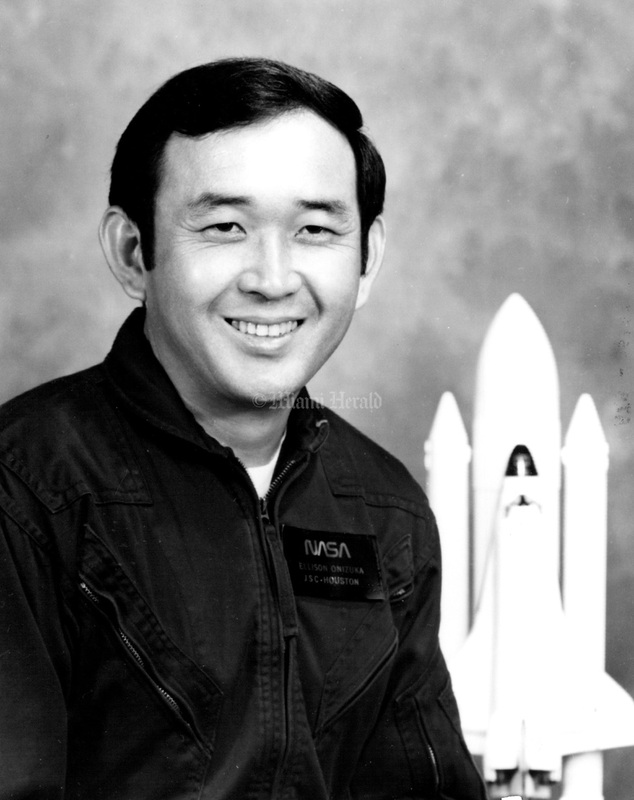 Undated: Space Shuttle - Challenger Mission Specialist El Onizuka. 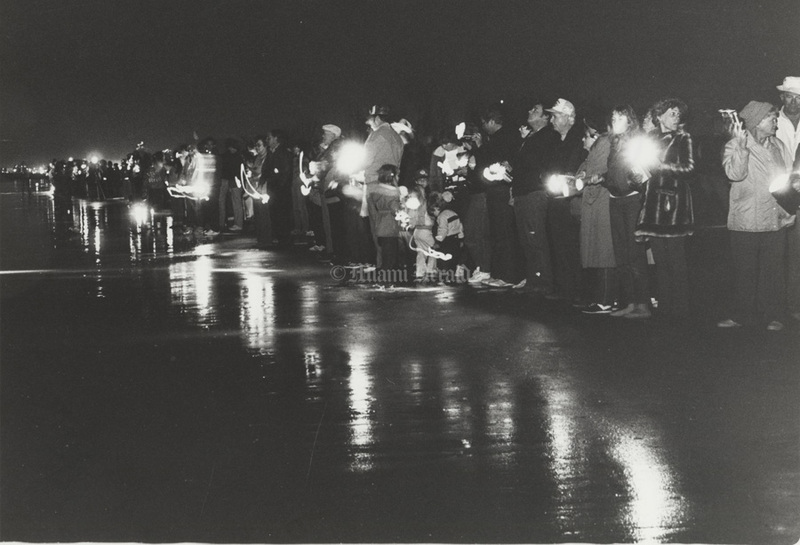 1986, Jon Kral/Miami Herald: People with flashlights stand along the beach stretching from Port Canaveral to Cocoa Beach in honor of the 7 astronauts. They burned their lights from 8:00 PM to 8:07 PM in their honor. 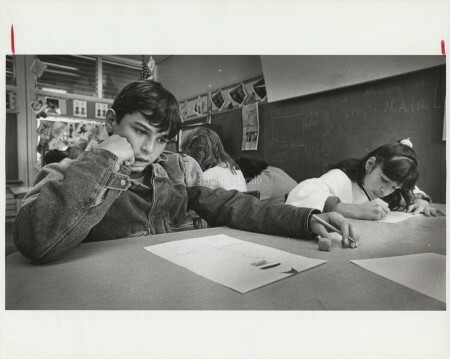 One minute for each. Undated: Gregory Bruce Jarvis was in the crew of the Space shuttle Challenger. 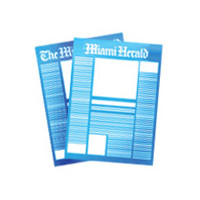 1/29/1987, Martin Merzer/Miami Herald: Steve Nesbitt, the voice of NASA's mission control for the Challenger launch, who said, "Obviously a major malfunction." 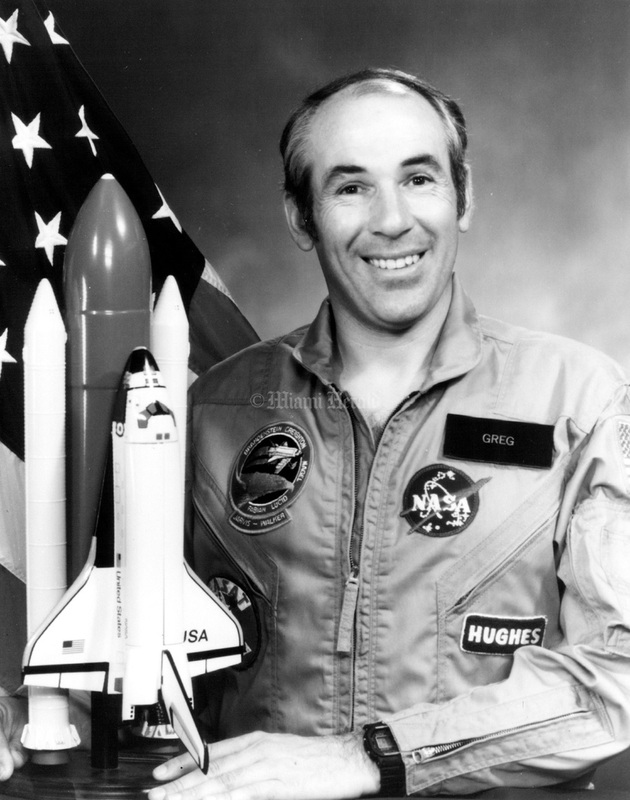 1986: NASA photo -- The crew of the final Challenger mission. 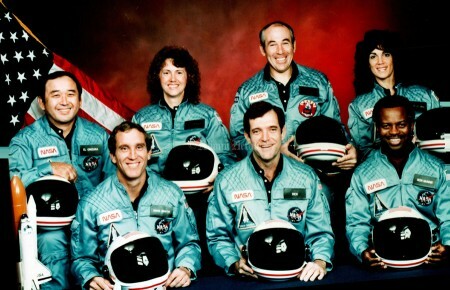 Back row, from left, Ellison S. Onizuka, Sharon Christa McAuliffe, Gregory B. Jarvis, Judith A. Resnik; front row, from left, Michael J. Smith, Francis R. Scobee and Ronald E. McNair. 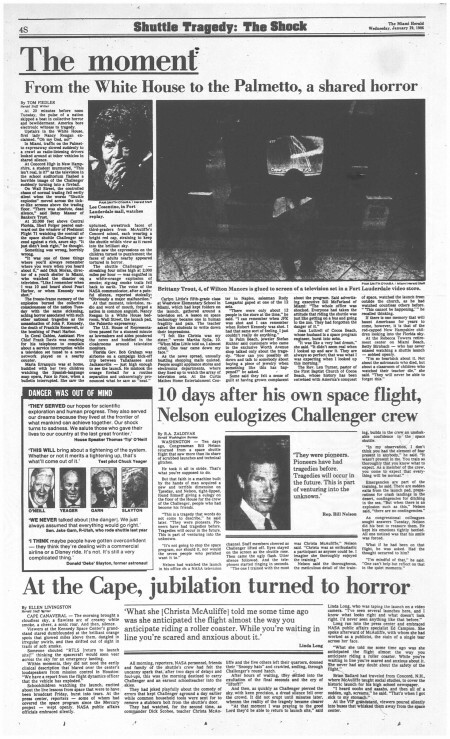 1/28/1988, Carol Guzy/Miami Herald: Ceremony to honor Challenger seven astronauts at memorial sitte. 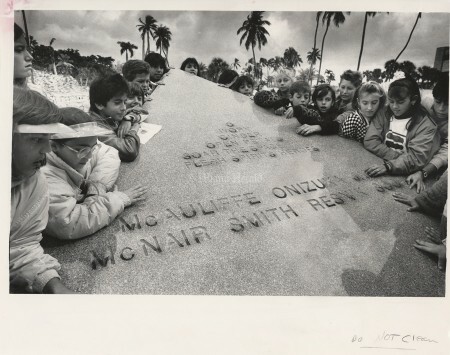 Children from local elementary school gather around the memorial after ceremony. 10/22/1984: Leaving a trail of fire and smoke in its wake, the Space Shuttle Orbiter Challenger thunders away from Launch Complex 39A enroute to its sixth trip into space. 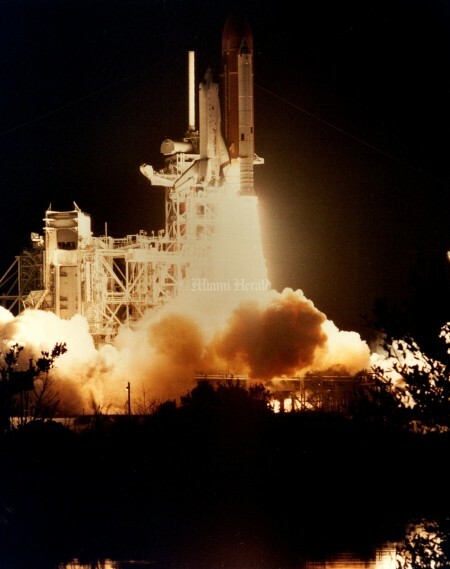 The 41-G mission lifted off at 7:03 a.m. EDT on October 5, 1984, The record-sir seven-member crew is led by Commander Bob Crippen, who is making his fourth trip Into space aboard the Space Shuttle, Pilot for the mission is rookie Jon McBride. 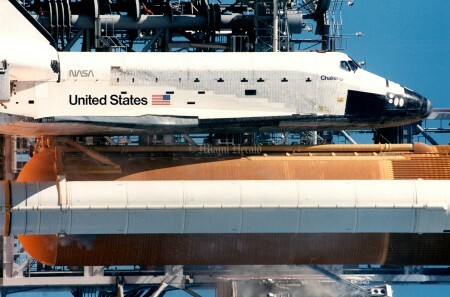 Mission Specialists include STS-7 veteran Sally Ride, and first-timers Kathy Sullivan and David Leestma, Payload Specialists for the flight are Canadian astronaut Marc Garneeu and U.S. oceanographer Paul Scully-Power, The eight-day mission is scheduled to end at Kennedy Space Center on October 13. 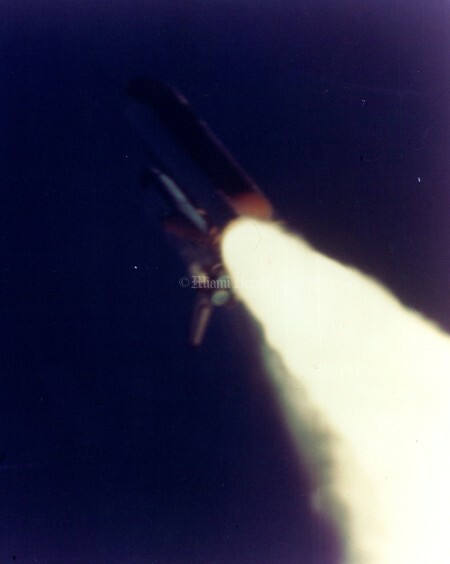 2/1/1986: This 70 mm still photograph of the 51-L launch was taken from Camera Pad 10 north of Launch Complex 39-B approximately 58.32 seconds after launch. The photograph shows an unusual plume in the lower part of the right hand solid rocket booster. 10/29/1985: Christa McAuliffa, the teacher selected to fly as the first citizen observer aboard the Space Shuttle, was given an orientation tour of KSC the day before the launch of STS 61A. 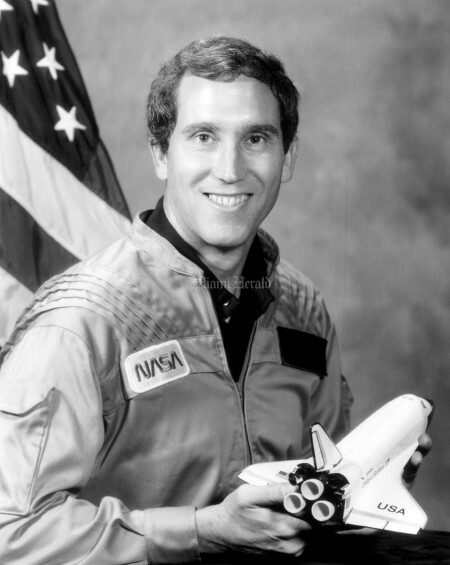 McAuliffe is scheduled to fly on Orbiter Challenger for Mission 51L in January 1986. 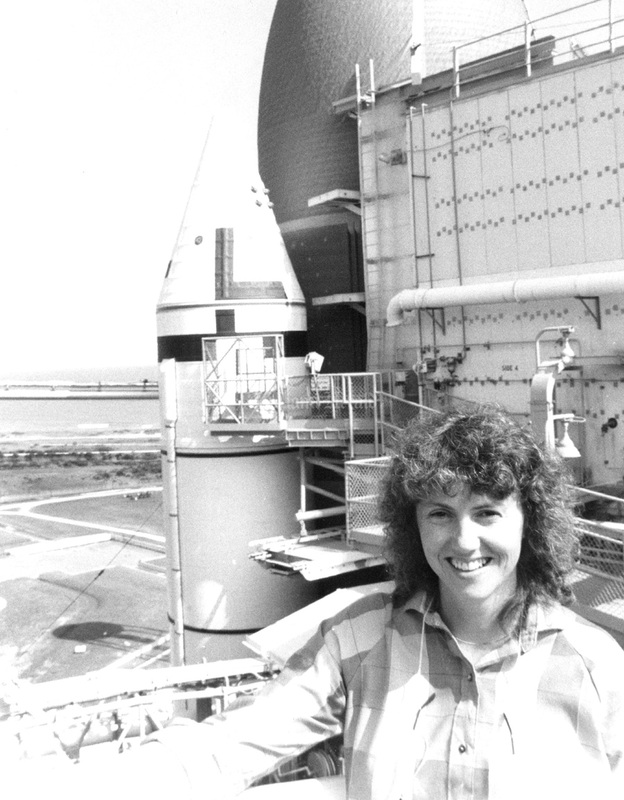 She is seen here at Pad 39A with the solid rocket boosters and fuel tank in the background. 1/29/1986, Tim Chapman/Miami Herald: Diego Pavia (left) and Brenda Pelaez (right) both 6th graders at Key Biscayne Elementary School draw what they remember of the space shuttle, the day after it blew up. Undated: Ronald E. McNair, was one of three mission specialists flying aboard Orbiter Challenger on the STS-11 flight scheduled for January 1984. 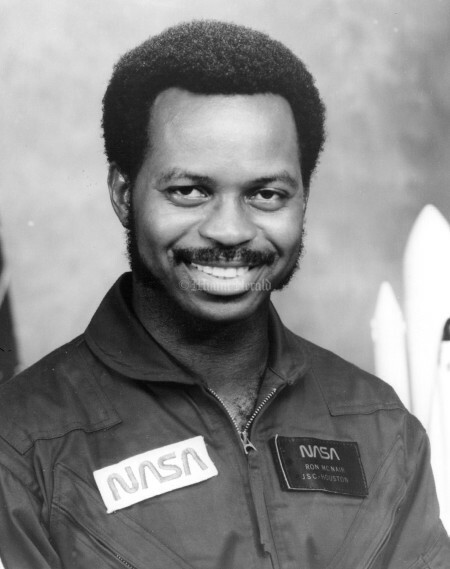 Dr. McNair received a doctor of philosophy in Physics from Massachusetts Institute of Technology and was presented an honorary doctorate of Laws from North Carolina A & T State University. He was chosen by NASA to be an astronaut in 1978. 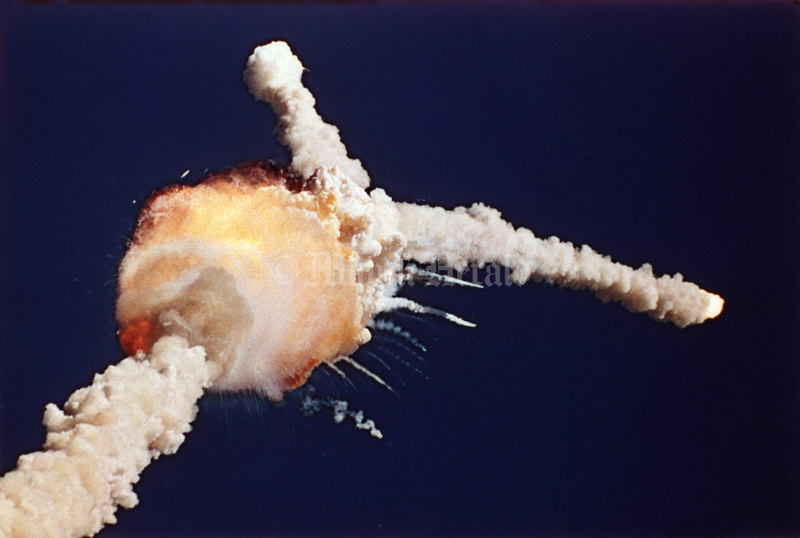 3/23/1982: Space Shuttle - Challenger. 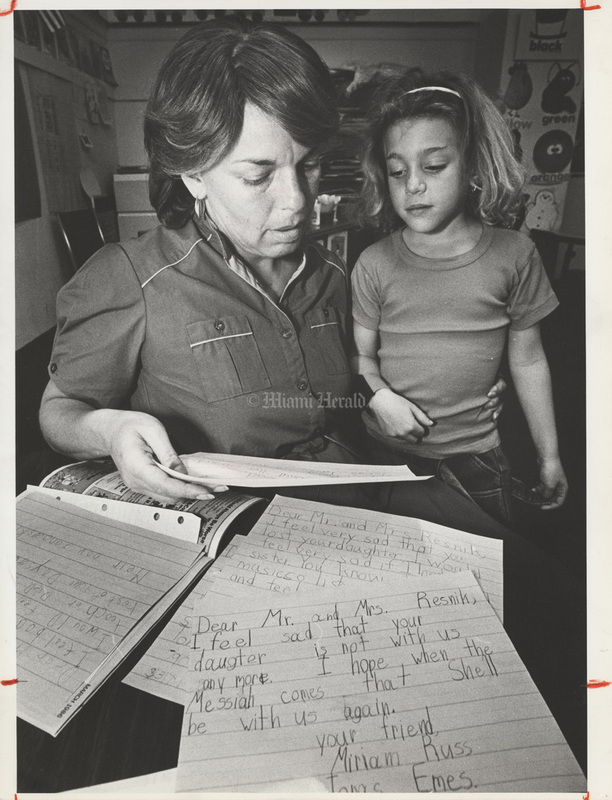 2/13/1986, Randy Bazemore/Miami Herald: First grade teacher Helene Messinger reads 6 years old Elana Berkowitz a letter to the class at Toras Emes.